No. 30 Squadron was formed at RNZAF Station Gisborne, on the East Coast of New Zealand. The personnel were made up from the aircrews of No. 7 (GR) Squadron (of RNZAF Station Waipapakauri, Northland) and No. 8 (GR) Squadron (of RNZAF Gisborne), both of which had been disbanded officially the same day following the retirement from service of their Vickers Vildebeest and Vincent aircraft. No. 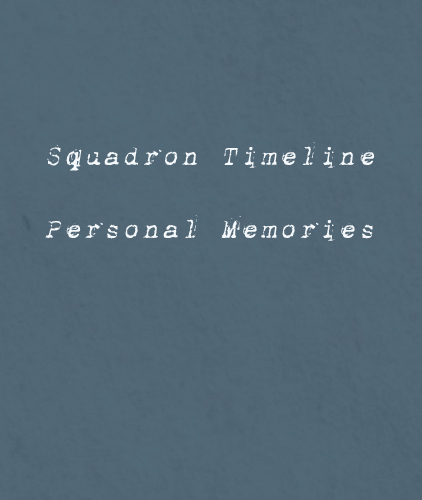 30 Squadron was under the temporary command of Flight Lieutenant Fred Adams, who had previously been temporary Commanding OfficerNo. 8 (GR) Squadron. 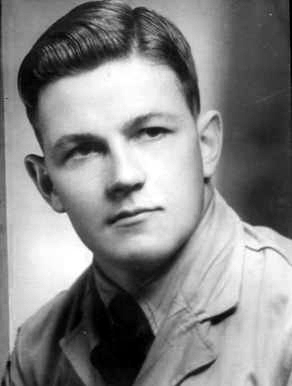 Sgt Pilot William McGechie was seriously injured when the Harvard trainer NZ997 that he was flying struck trees on the airfield boundary during a night flight. The aircraft was destroyed. All the ex-No. 8 (GR) Squadron ground staff, who'd been in limbo on Gisborne aerodrome since the disbandment of that squadron, were officially made members of No. 30 Squadron RNZAF. No. 30 Squadron's personnel underwent ‘jungle training' in the rugged bush area of the Motu River , near Gisborne. All of the ground crew from No. 30 Squadron were transferred to the command of a new unit, No. 30 Servicing Unit. The SU remained attached to the squadron so this move had little effect other than administrative. I left New Zealand in September 1944 (three months short of my 20th birthday), bound for Espirtu Santo. I was stationed there for a short time while waiting to be posted to a unit. A posting came through a week or two later, to 1 SU at Guadacanal. I arrived at Bloody Knoll and was there for three months looking after the fire-engine and stores at Kukum and on standby duty for Henderson Field. After that I was transferred to No 30 Squadron and travelled on USS Zurak to Green Island. At Green Island I met up with two other 30 SU Firemen, Bill Grogan and Phil Hunter and together with fire crews of 3 SU and 14 SU we formed the ANZAC crash crew and had several Australian GDs airmen attached to us. We taught them the Crash Fire Drills for emergencies. We pooled three Marmin Herringtons together and later the Americans gave us their International Fire Engines too. Our men were fully trained firemen and crash crews who had been through Jack Dale’s fire school at Ohakea. Our CO was so upset one day because one of the Auckland papers got a photo of one of our crew, Mick Jones, pouring foam on one of our own crashed planes and at the same time the Americans were using their high-pressured water hoses and washing it all off. Our CO went mad at the American Commander and he (the American Commander) requested that we take over attending the crashes of their planes in return for him supplying us with two of their International Tenders. The worse night we had on Green Island was the night we lost 8 planes. They were trying to protect a pilot of one of our planes who had bailed out in Rabaul Harbour. The airman was captured but a storm blew up before the planes made it back and they couldn’t find their way back to Green Island. We had all the strip lights out and stood by but none of them made it back alive. One of my favourite memories is about an Australian we had attached to us called Tex. He was a tough little Queenslander with a lazy drawl that made him appear quite simple but he could shimmy up a coconut tree as good as any native, or catch a wild pig. He was studying animal husbandry and appeared to be having trouble with his studies. I thought I could be of help to him as I was only a few years out of school. He had an assignment to do so I wrote him out an essay (which I was very proud of) and he thanked me very much for the help. I asked him later how he had got on and he told me he had passed. When I read his assignment at a later date, I realised I hadn’t been as helpful as I thought as he had done a much better job of the assignment than I had done. Another memory I have was learning to drive a jeep right next to the YMCA Hut. The boys taught me well (I thought) but the strips had coconut palm log fences along the ground with gaps to get the jeeps through. I missed the gap and drove the jeep onto the top of the fence with the wheels spinning. On another day I made the gap OK but took out the door of the Yanks Coffee Kiosk. When we shifted from Green Island to Jacquinot Bay we went over in landing barges taking our tenders with us. Jacquinot Bay had a big dip in the middle of the strip which was a bit tricky. I was in charge of the fire crew this day and one of the Venturers came in for an emergency landing. The pilot brought it to rest OK but there were still live death chargers on it. We saw the crew get out safely so I got our chaps out of the way too. Everything was all right, I thought, but later I heard the Air Controller wanted to bring charges against me for not attending the plane. Thank goodness common sense prevailed and no charges were laid.